Graphics card maker EVGA isn't a company that lets an opportunity go to waste, and it seized advantage of a doozy after TechPowerUp and other sites outed Asus and MSI over GeForce GTX 1080 review sample shenanigans. The whole controversy started on Thursday of last week. 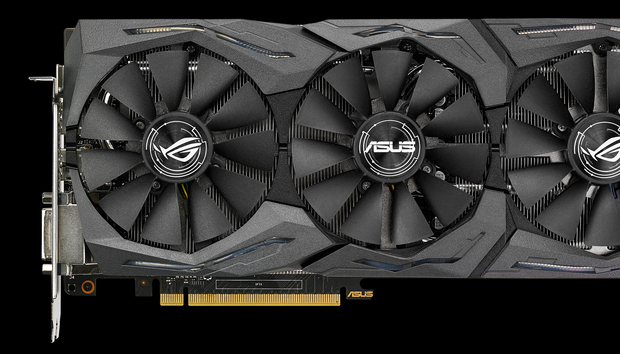 TechPowerUp reported that both Asus and MSI sent the hardware-focused site graphics cards set to run slightly faster than what you’d get from a retail store. The hope, obviously, was that Asus and MSI would see better reviews for their products and get an edge over the competition. The companies also had an excuse for the tweaked clock speeds, since customers could easily get the same speeds the reviewers were seeing. All they had to do was flip a setting in the special software that comes with each new graphics card. MSI has a software package called MSI Gaming, while Asus offers GPU Tweak II. These graphics cards come with three basic clock settings that users can easily manipulate: gaming mode, OC (“overclock”) mode, and silent mode. The first is the standard retail setting that most of us see when we open those glorious boxes housing a new gateway to gaming joy. Silent mode runs the slowest of the three since it puts the card at reference clock speeds. OC mode, meanwhile, squeezes a little more performance out of the card. TechPowerUp said it received cards set to OC mode, meaning they given review samples set to a profile that offers more performance than what buyers actually receive in stores. Nevertheless, TechPowerUp argues that even a small performance gain provides an unfair advantage. That small boost could, in fact, be the deciding factor for gamers looking to squeeze every ounce of performance they can from a specific graphics card. Asus confirmed to PC Perspective that it does send its cards to reviewers in OC Mode in order to showcase the card’s maximum performance. Why this matters: Technically, both companies can say the cards sent to reviewers and to retail stores are the same since they only tweak a factory setting. The marginal improvement in clock speed is also easily obtained by consumers if they enable the right profile for their card. Nevertheless, companies shouldn’t send reviewers a product that doesn’t match what consumers get, right down to the factory settings. That’s especially important for graphics cards reviews where many readers skip right to the benchmarks to compare numbers.